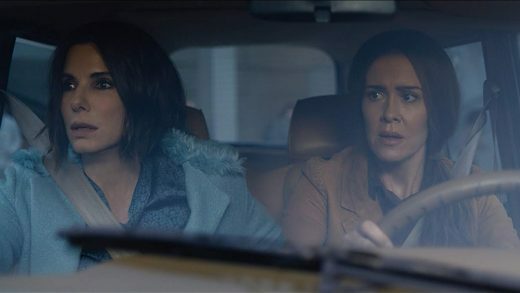 Sandra Bullock, Trevante Rhodes and Sarah Paulson star in the horror thriller Bird Box. Sandra Bullock gathers a crew to attempt an impossible heist at New York City’s yearly Met Gala. 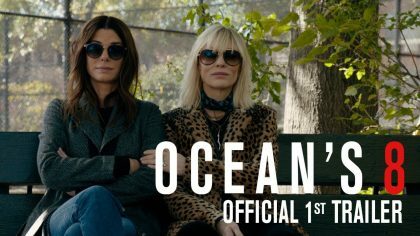 First look photo of Sandra Bullock and the crew in the all-female Ocean’s Eleven spinoff Ocean’s 8. Sandra Bullock and Billy Bob Thornton star in the political comedy ‘Our Brand is Crisis’, based on the 2005 documentary of the same name. Sandra Bullock and Billy Bob Thornton star in the political drama Our Brand is Crisis. Kevin, Stuart and Bob meet the super villain Scarlet Overkill, voiced by Sandra Bullock. Watch the Minions trailer. Sandra Bullock and Jon Hamm voice the animated prequel.